In case of power outage, she could take the place of traffic lights. 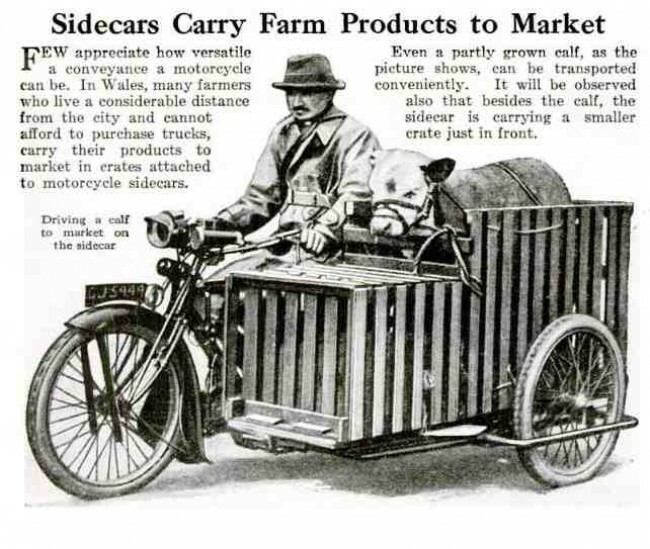 Explanation here--insofar as is possible. 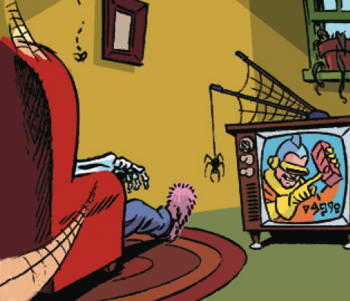 I like this guy's way of thinking. Too bad the judge didn't go for it. LONDON — Albert English, 70, went to court claiming 2,051 pounds—$5,742—in back pay. 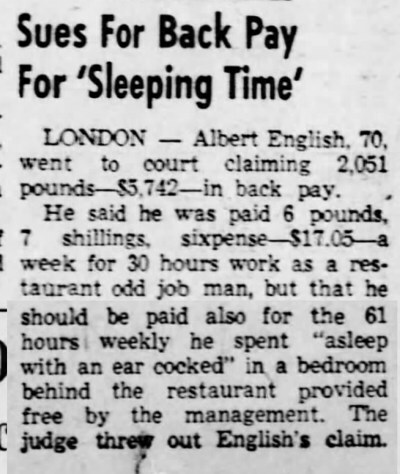 He said he was paid 6 pounds, 7 shillings, sixpense—$17.05—a week for 30 hours work as a restaurant odd job man, but that he should be paid also for the 61 hours weekly he spent "asleep with an ear cocked" in a bedroom behind the restaurant provided free by the management. 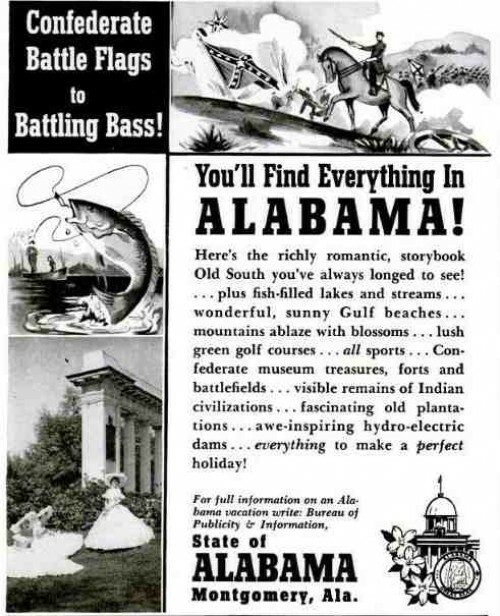 The judge threw out English's claim. 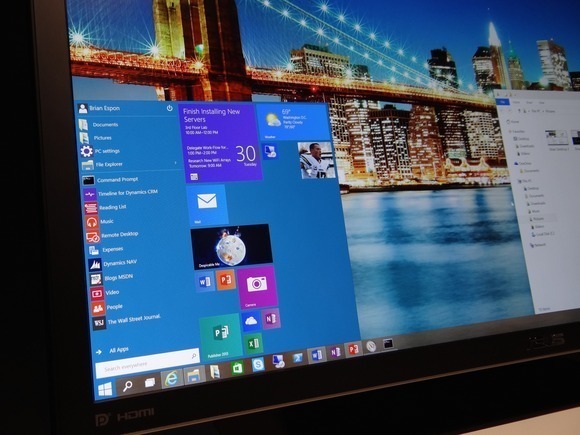 Windows 10 is now officially released. I've been up since midnight updating PC's. It's nice being off work after being in the hospital to enjoy this day. 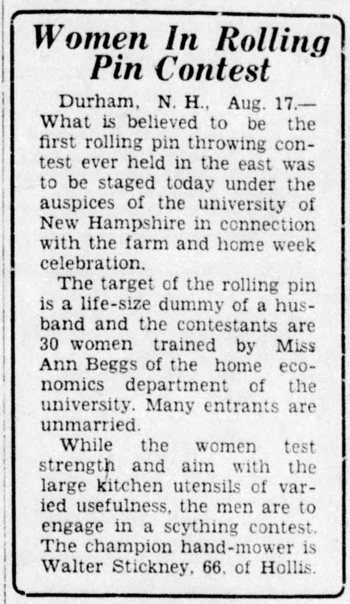 "The target of the rolling pin is a life-size dummy of a husband and the contestants are 30 women trained by Miss Ann Beggs of the home economics department of the university." 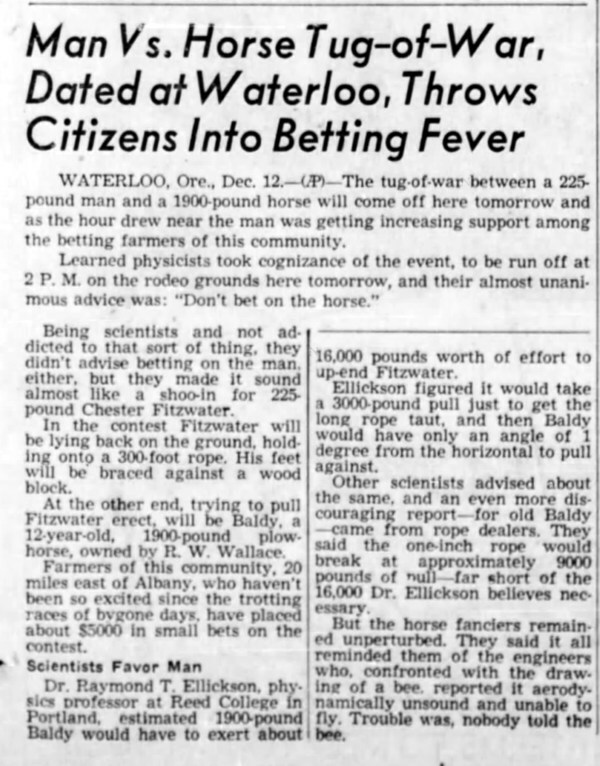 The experts predicted that the man vs. horse tug-of-war organized in Waterloo, Oregon back in 1947 would be no contest at all. The man, 225-pound Chester Fitzwater, was lying on the ground, his feet braced against a wood block. To win, he simply had to remain in place for three minutes. The horse, Big Baldy, was said not to have a chance. Dr. Raymond T. Ellickson, physics professor at Reed College in Portland, estimated 1900-pound Baldy would have to exert about 16,000 pounds worth of effort to up-end Fitzwater. Ellickson figured it would take a 3000-pound pull just to get the long rope taut, and then Baldy would have only an angle of 1 degree from the horizontal to pull against. 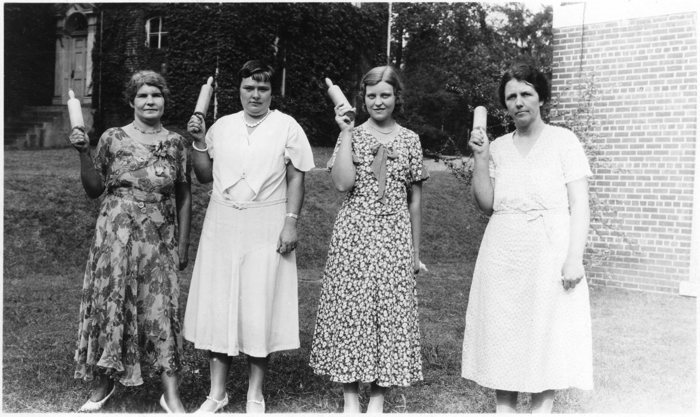 Other scientists advised about the same, and an even more discouraging report—for old Baldy—came from rope dealers. They said the one-inch rope would break at approximately 9000 pounds of pull—far short of the 16,000 Dr. Ellickson believes necessary. It took about a second for Big Baldy to prove the experts wrong. As soon as the rope tightened, "Fitzwater lurched into the air, knocked over a photographer and some spectators, and crashed into the mud." Several other brawny men subsequently challenged the horse to the same contest, believing they would last longer. They didn't. Back in 2004, Hank Robar wanted to get a property he owned in Potsdam, NY rezoned so that he could open a donut store there. 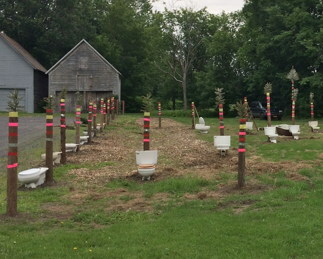 His application was rejected, and in response Robar created a "toilet garden" — which consisted of rows of old toilets with poles behind them. The toilets had flowers in them. The 'toilet garden' was apparently allowed under local zoning laws because it was "art." Since 2004, Robar has battled with the local government over other properties, and as a result Potsdam has been home to a number of his toilet gardens. He's currently in the process of creating a new one. Robar's toilet art has sparked some lively debate in the community about what exactly qualifies as art. Update: It says here that Robar's toilets are legal not because they're art, per se, but because they have flowers in them, so he can claim that they're planter boxes, which are allowed under zoning laws. Also, he's not the only guy who's thought of displaying toilets as a protest against local government.